JOHO battles with President Kenyatta again as President hold a Coast political rally at Tononoka ground. - Bana Kenya News, Real African Network Tubanane. Home featured News JOHO battles with President Kenyatta again as President hold a Coast political rally at Tononoka ground. JOHO battles with President Kenyatta again as President hold a Coast political rally at Tononoka ground. 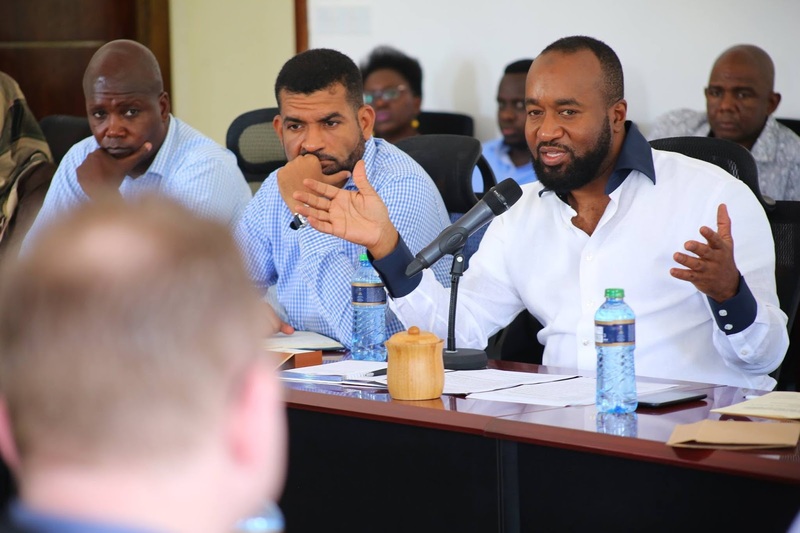 Mombasa Governor Ali Hassan Joho was to hold a rally at Mvita grounds parallel to president Kenyatta at Tononoka grounds. The governor criticised the security officials as they are used by the government to intimidate him. The vocal Mombasa governor has always been battling with president Kenyatta every time he comes to Coast. According to Mvita mp, Abdulswamad Nassir, the NASA rally has been cancelled because they were also some speculations that a gang sponsored by JAP members were to storm them in the rally backed by the police. The governor had a meeting today with Mombasa MPs at his county office at treasury square. The governor has directed all the aspirants to make sure that they unite and preach peace and spread the NASA gospel in the county. He also added that the county is NASA zone and they must make sure no JAP votes from the county local residents in the coming elections.